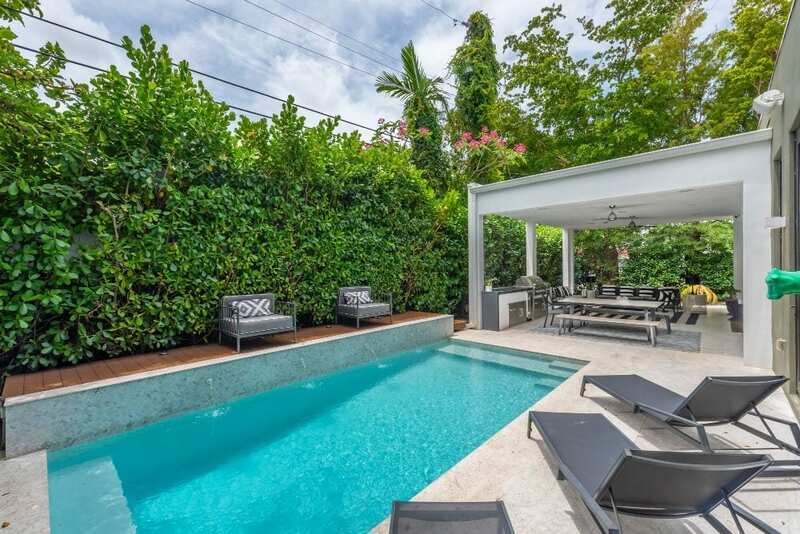 Miami is an international vacation hub with droves of exciting guests constantly visiting from around the globe. 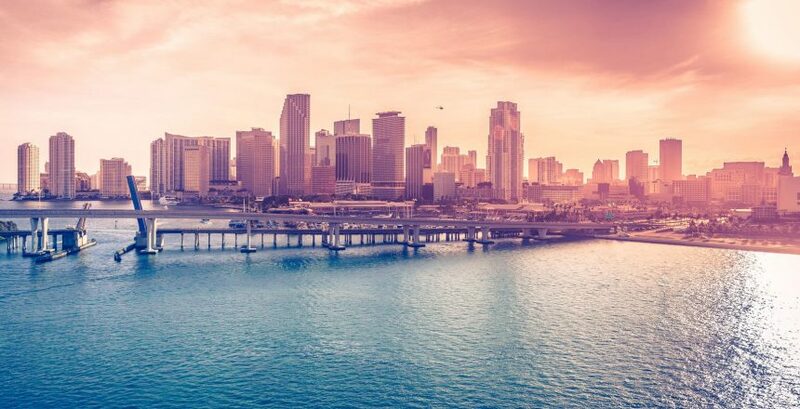 Anyone in Miami can enjoy the sand, sun, and culture mixed together into one melting pot, whether they live here permanently, are staying in a hotel, or enjoying the luxurious Miami Villas. Although Miami is a city that’s always changing, one thing that stays the same is that we’re never static! 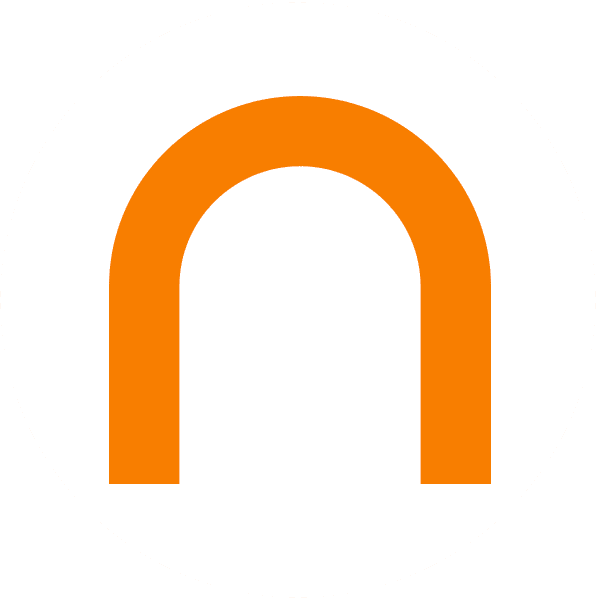 There’s always a new, dynamic event happening just around the corner. Check out this guide to learn about some of this glittering, tropical city’s hottest events. An internationally-known visual arts event taking place every December, Art Basel is a week-long fair that has been running for the better part of the last two decades. Art Basel consists of 260 galleries, over 4,000 artists, 31 participating countries, and 500,000 square feet, all divided into nine separate sectors. Exploring all of Art Basel will take the whole festival! 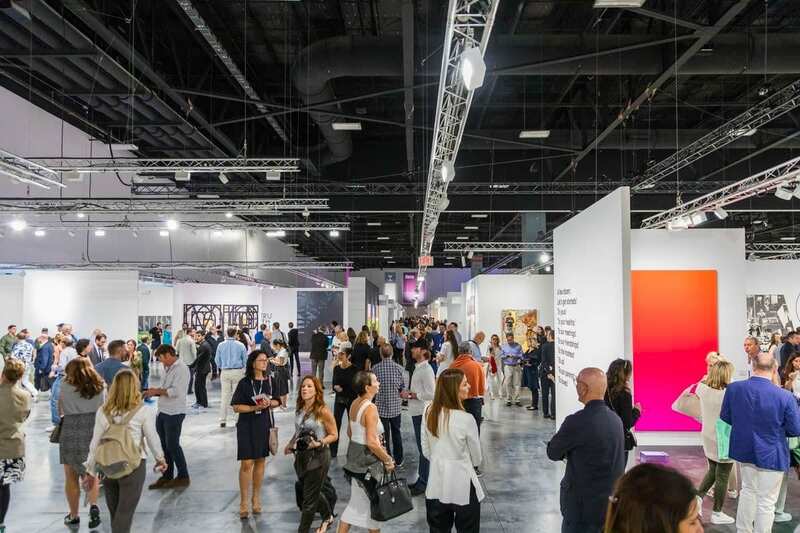 If you are a fan of the art world and want to meet the artists who have created the work in front of you, Art Basel is an event that you cannot miss. 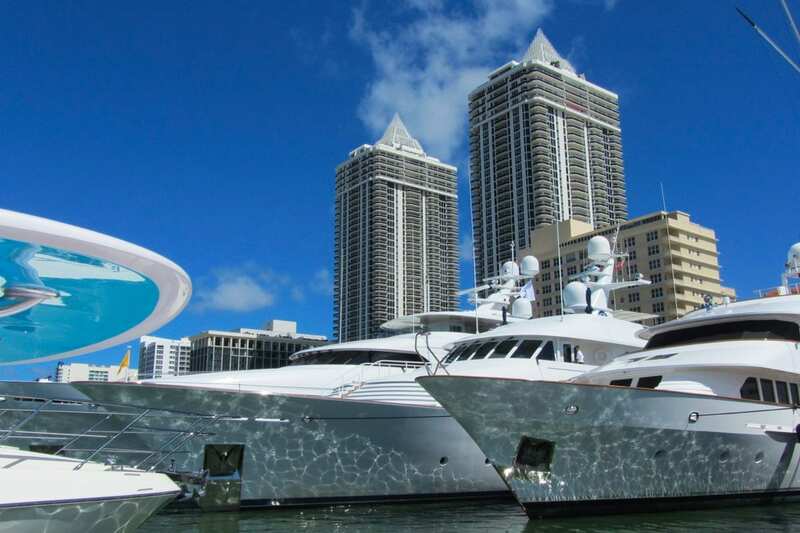 With nearly 1,400 boats spread accross the Miami Marine Stadium Park, the Miami International Boat Show is one of the largest events of it’s kind in North America. From small fishing boats to multi-million dollar yachts, this show has it all. 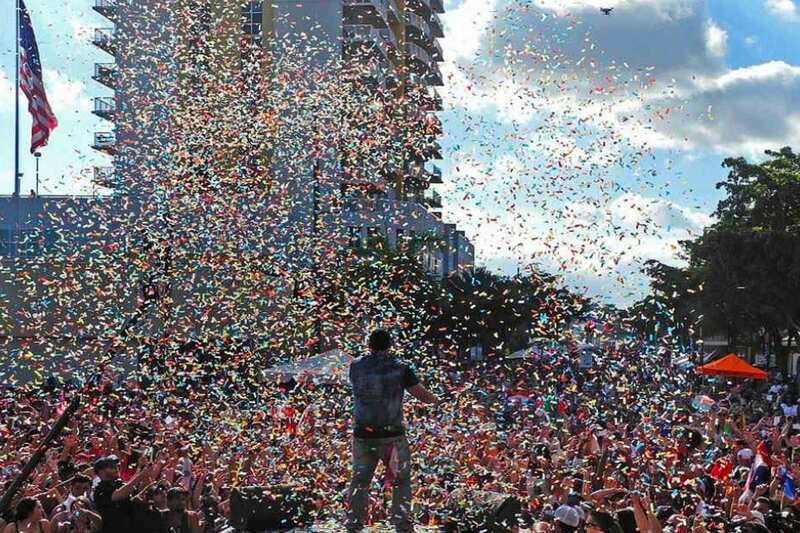 Taking place along 8th street, as the name suggests, Calle Ocho Music Festival is a block party-turned-festival that welcomes more than one million party goers annually. Delicious food, lively music, vibrant dance, and interesting art fill the streets as the festival stretches out over ten days every March. Join the crowds dancing salsa on the street and enjoy live performances and musicians rocking out on 12 different stages. You’ll hear everything from the beats of merengue, to reggeaton, bachata, balada, hip hop, rap, jazz and more, all in one day! Quite Possibly the Largest EDM Music Festivals in the world. 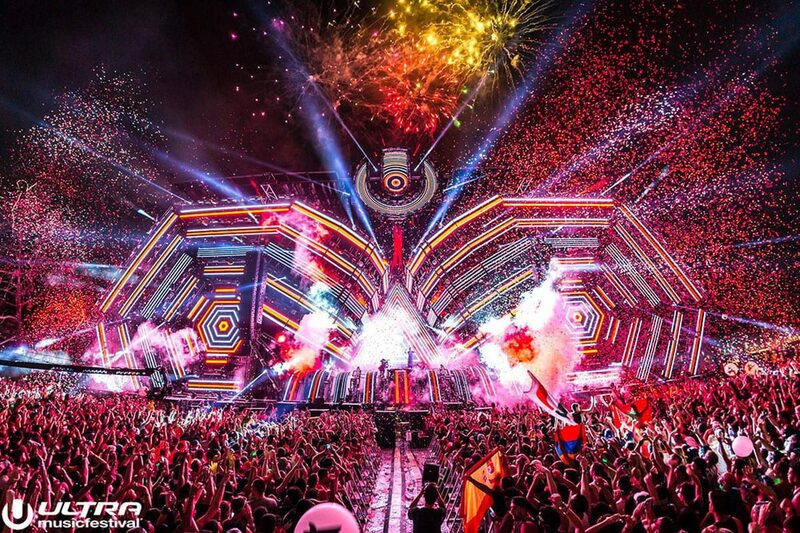 Miami is the home for Ultra, and is THE premiere destination for EDM musicians and fans-alike. The three-day festival is headlined by the biggest DJs in the genre and hosts up to 70,000 people a day. With Tickets getting sold-out almost the instant they go on sale, what was once a one-day event held on the sand of Miami Beach, has grown over two decades to become a signature global weekend music festival.